The 2018 Virgin Australia Supercars Championship calendar has been revealed, with two new rounds added to form a 16-event schedule. 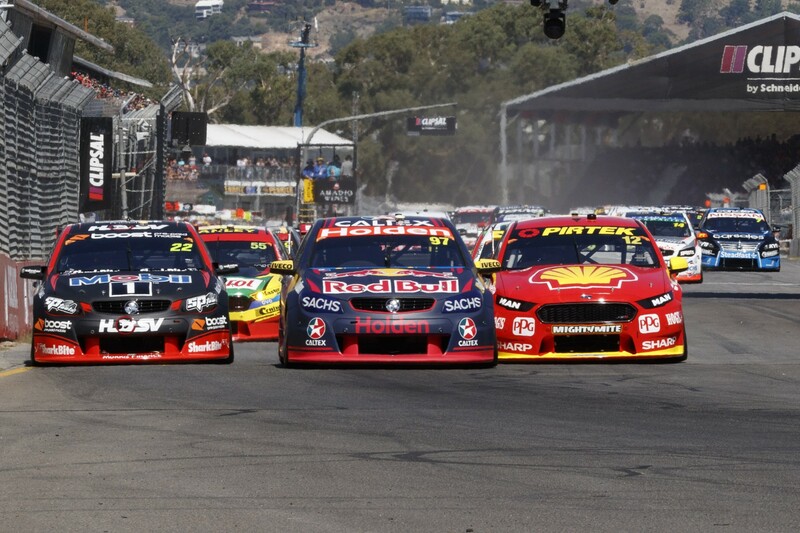 Supercars will race for points at the Australian Grand Prix for the first time next March, while the maiden visit to South Australia’s Tailem Bend in August is the other addition from 2017. The event at Sydney Motorsport Park will be contested under lights, the first Supercars night race in Australia since 1997, with the remainder of the schedule largely unchanged. Spanning 37 weekends, the season again starts with the Adelaide 500 in March and will conclude with the Coates Hire Newcastle 500 in November. “We have added two new feature events in the Australian Grand Prix and Tailem Bend while improving our continuity and momentum through the season,” Supercars CEO James Warburton said. “Competing for Championship points for the first time at the Australian Grand Prix has been a long-term goal for our sport and we are honoured to be able to do so on such an international stage. Warburton visited last month’s Formula 1 Singapore Grand Prix, with Supercars having signed multiple agreements with a view towards new events in Asia from 2019. “We are making strong progress with our Asian promoters and are committed to these being sustainable long term rather than short-term opportunities,” he said. The Dunlop Super2 Series will race at seven Supercars events, with Adelaide followed by Symmons Plains, Barbagallo Raceway, Townsville, Sandown, Bathurst and Newcastle. That means the series returns to Western Australia after a one-year absence while Bathurst is also reinstated as a points round, with Phillip Island and Sydney Motorsport Park making way. Following the concept’s introduction this season, Super2 wildcard events will return for the Winton, Hidden Valley, Queensland Raceway and Tailem Bend SuperSprints.